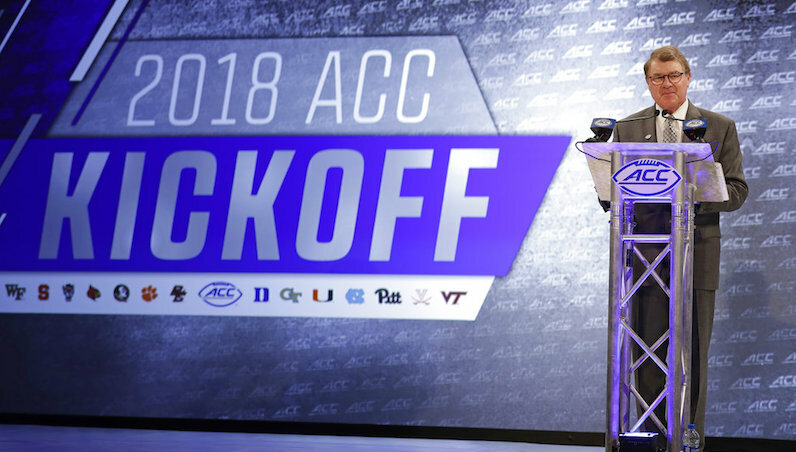 One of the big bulletins from John Swofford’s annual address at ACC media days: the league won’t require football teams to release pregame injury reports. This was agreed upon by the coaches. Previously, the ACC had been a bit of a leader when it came to releasing this information — prior to conference games. This move aligns with that of other Power Five commissioners: Greg Sankey of the SEC and the Big 12’s Bob Bowlsby. Earlier this week, Bowlsby cited concerns with FERPA and HIPAA. Swofford also mentioned that he anticipates a national rule on injury reports to come down the line — likely the 2019 season. When that happens, the ACC will follow.